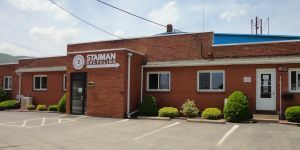 Conveniently located just off I-180 in Williamsport, Pennsylvania, Staiman Recycling Corporation and Staiman Brothers Inc. continue to evolve and expand to meet today's industry demands. Staiman Recycling Corporation specializes in the recycling of ferrous and non-ferrous metals and continues to become more efficient with the addition of state-of-the-art processing equipment. 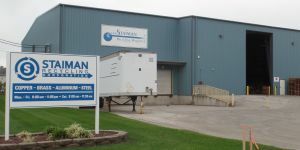 Staiman Brothers Inc. continues with its long-standing history by recycling quality fiber materials. In order to meet the recycling needs of the suppliers and customers in western York County, Adams County, northern Maryland, and surrounding areas, Staiman Recycling Corp. established the Hanover Division in 2000. 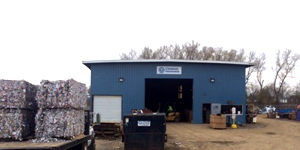 A constant feeder yard to the Williamsport facility, this full-service division accepts ferrous, non-ferrous, and fiber recyclable materials. To assist better the needs of the public, the Hanover Division facility is open six (6) days a week: Monday - Saturday. In order to meet the needs of the suppliers and customers in New York State, Staiman acquired Kaplan's Scrapyard Inc. in Elmira. This full-service division accepts ferrous, non-ferrous, and fiber recyclable materials. 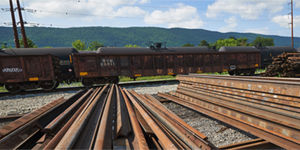 The Newberry Rail Division is located just a few miles from the Williamsport facility and material is easily processed and transported daily from both facilities. Serviced by Norfolk Southern & Lycoming Valley Railroads.